Thanks for joining us this year and thanks to our sponsors. We will most likely hold this race again next year. The general thought after this year was maybe a late spring race might suit the trail better. We’ll see. Conditions for fat bike races are impossible to plan for, not sure there’s an easy way. LONG COURSE (BIG M F’er) – The final race distance will be determined by the snow conditions but expect to be shredding singletrack for 2-3 hours. SHORT COURSE – snow conditions will dictate actual race length but expect to be out there for 1 -1.5 hours. plenty of room for passing. Check on local trail conditions here. 10:00 am – Big M F’er race start. Big M has an extensive classic x-c ski trail network so please respect the tracks and do not ride on them. Fat Bikes shall be defined as bikes with 3.7″ or wider tires. Only the long race will count towards the series point standings. 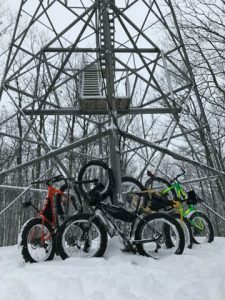 E Bikes are not allowed in Great Lakes Fat Bike Series races. This event is in cooperation with and under a Special Use Permit from the U.S. Forest Service. 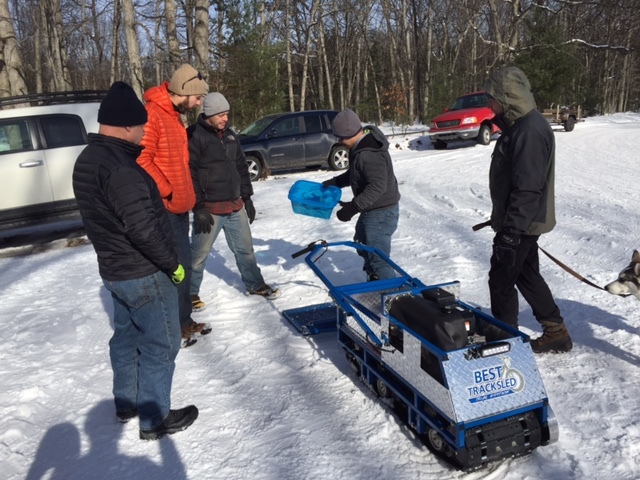 Support the Shoreline Cycling Club’s Winter Fat Bike Grooming Addiction.